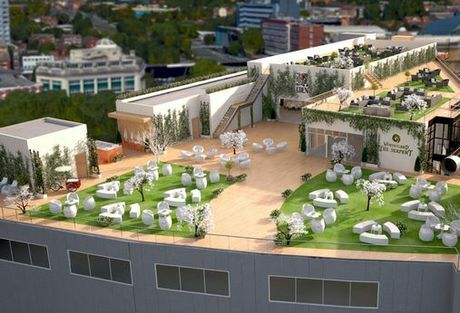 The development will have an overall size of 14,000 square feet, which features; an indoor function suite, an outdoor event area and the new rooftop venue, Garden of Eden. The venue will have a wonderland theme, with lots of green open plan areas, making special occasions more memorable. Therefore, the luxurious venue is set to become the new tourist destination of Liverpool. The extension will also feature a 100-foot spiral slide situated on the side down the side of the Shankly Hotel. The slide would take people from the roof terrace down to the lobby area. This feature is aimed towards helping raise money for charity. Overall, phase one of the Shankly Hotel extension was the function rooms, which has already attracted an array of small weddings. It is also set to host a dance festival and classical music concert in 2017. Signature Livings founders will the host the opening of Eden alongside some high-profile celebrities.